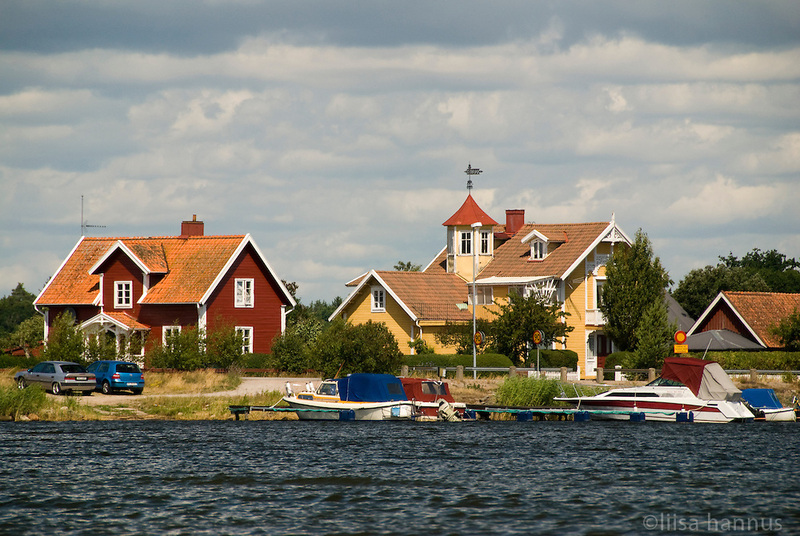 Speed boats and colourful houses on the Swedish coast. Houses painted yellow or Falu Red are symbolic of Swedish life. Add in sunshine, water, and fast boats and you having the makings of a typical summer's day in southern Sweden.